Natural link building is essential for a successful SEO campaign. Here are five quick and effective ways to creatively boost your rankings. Utilizing the power of Guest Blogging, Infographics, Press Releases, Social Media and Web Directories will all serve valuable to reaching those long-term aspirations. Keep in mind, there is no handbook with step by step ways of earning high rankings but these resourceful measures will increase your website almost immediately. Hopefully this will help! A surefire way to generate powerful natural links to your website is through guest blog posting or simply guest blogging. This beneficial method of obtaining links will almost instantaneously start paying dividends for your website’s rankings. Keep in mind, you can also eliminate the high-risk and potentially negative results that accompanies buying links. Guest blogging involves creating well-written, unique and engaging natural content. Then posting that valuable content in an open forum where several webmasters bid to acquire your article. Following through with this technique saves you money and more importantly secures a high-quality exclusive natural link that will ultimately drive additional traffic too! The viral potential infographics have is tremendous. With proper viral seeding a well designed infographic can reach hundreds of thousands of people within days. In order to achieve maximum success (people linking to your site) with your infographic, make sure to follow these crucial yet simple steps. Let google crawl your infographic one day before you post it all over the social media heavyweights to avoid any internet theft of your intellectual property. Then make your infographic easily accessible by to Facebook, Twitter, Reddit, Pinterest, etc…, by including each websites social media button on your target page and manually posting it to those same sites as well. If you believe your infographic has mass appeal then just sit back and watch the virality take place. VOILA! Using social media outlets is another free and highly effective way to garner natural links to your site. Facebook and Twitter, the most popular social media sites, are vital when creating a brand presence online. Also, Pinterest, Stumbleupon, Reddit, and Tumblr possess a similar qualities and are all gaining popularity daily. In order to properly utilize these SMS, simply develop a page for your site on each SMS and create captivating content such as articles, videos or infographics. Once this is complete, properly seed the fresh content and let the originality of masterpiece do the rest. Social media SEO will undoubtedly assist your website in a positive manner if done correctly. Submitting your website to web directories one of the oldest tricks in the short-lived hypothetical SEO guidebook. Unlike the other ideas to build natural links, this will cost some you and your team some money. However, the results are without question worth the price. The Yahoo directory, $299 to submit, carries a powerful pagerank of 8 and will likely serve as one of your top backlinks. The best of the web directory, PR 6 for $149, is another option that is highly recommended for boosting those rankings. A few other alternatives include GoGuides, JoeAnt, and Business.com. Definitely execute this process in order to make your visions become reality. When creating your press release(s) be sure to use some of the free press release sites first. Free-press-release.com, PRLog.org, 1888PressRelease.com, TheOpenPress.com are just a handful that can help you get started. Also, for commerce sites using EcommWire.com will help for whatever niche you choose to pursue. A substantial benefit when writing these PR’s is the ability to control what anchor text you want. They will also drive real visitors to your sites and in some cases even provide actual news coverage based on the overall quality of your piece. Always remember to incorporate important quotes, post company summaries, structure your paragraph blocks properly and include an attention grabbing news title. In addition, if you are willing to spend some extra bucks, start using PRWeb and PR.com. 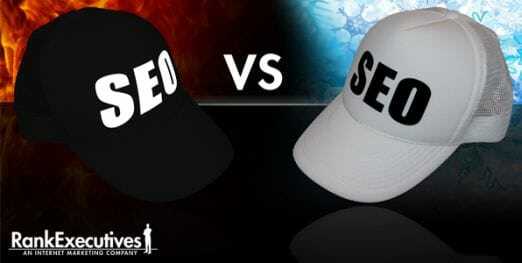 Both will attract dozens of organic links. This article was written by Brian Sorel, a staff writer for RankExecutives. Brian focuses his efforts in researching in white hat seo tactics, includung natural linkbulding methods, and effective outreach. Feel free to contact him directly with your questions.